If the only time you pull out the honey jar is to sweeten your food, you are in for a surprise. There are literally dozens of uses for honey that you are missing. Here is a short list of alternative uses for honey. Treat sore, scratchy throat: Mix honey with lemon juice to create a throat-relieving serum. Repeat as often as needed until symptoms are reduced, if not gone. Cough Syrup: Use as a cough suppressant instead of using a commercial cough syrup which is full of sugar and unwanted chemicals. Note: Do not, under any circumstances, use on children under the age of one. Heal Wounds: Honey, and Manuka Honey especially, is known to heal wounds by killing bacterial and fighting infections. Apply liberally then cover with a dressing. For an interesting scientific article on using honey to treat wounds, read Patients Should Ask Surgeons About Using Honey To Heal Wounds. Reduce/Relieve Acid Reflux: Consume 1 tablespoon a day to relieve to acid reflux. Topical Antiseptic: The hydrogen peroxide released by honey makes it the perfect topical antiseptic for cuts and scrapes. In addition, due to its viscous consistency, it also prevents wounds and scabs from sticking to the dressing or bandage. Remove Parasites – Combine equal parts honey, vinegar and water. Then drink. The combination of these three ingredients is supposedly the perfect parasite killer. Boost Immunity: The phytonutrients in raw honey have antibacterial and antiviral properties that may help boost the immune system and fight sickness. If you’re feeling a little under the weather, try combining 1 tablespoon of honey and 2 teaspoons of lemon juice in a 1/2 cup of hot, but not boiling, water. Sleep Aid: Honey is known to facilitate the action of tryptophan, which helps make people sleepy. Allergy Relief: The daily consumption of locally harvested honey is said to to reduce any allergies you have to localized plant pollens. Energy Booster: Mix honey with some water then drink the solution. Honey’s glucose content will be absorbed by the brain and in the bloodstream, reducing fatigue in the process. Improve Blood Flow: Honey, being rich in glucose, is known to improve the blood flow through the fortification of blood’s formation. Glucose provides energy in the bloodstream, which is distributed throughout the body. As a result, the blood produced has the proper consistency, flowing smoothly through the blood vessels. Glucose is believed to prevent capillary damage due to its ability to improve your blood flow. Burn Treatment: Apply honey as a dressing to burns. The hydrogen peroxide released by the honey cleans the wound and soothes the inflammation. Burn marks will heal quickly and with less pain. Antibacterial Solution: Given its acidic pH balance and viscous base, bacteria and germs won’t survive when covered in honey. The microorganisms will be trapped in the sticky acidic base, which is too abrasive for their exteriors, killing them off eventually. Calms Anxiety and Promotes Relaxation: Anytime, but especially while in survival mode, you need to be clear headed and calm. Honey’s nutrients produce a calming effect, especially when taken in significant amounts. Aids Digestion: Mix honey and apple cider vinegar in equal proportion then dilute with water. This natural drink aids digestion. Substitute Honey for Sugar in Baking: For every cup of sugar a recipe calls for, replace it with 3/4 cup of honey. For best results, add 1/4 teaspoon of baking soda and reduce another liquid in your recipe by 1/4 cup. Also, reduce the oven temperature by 25 degrees. Hair Conditioner: Add a teaspoon of honey to your regular shampoo or conditioner. You can also combine it with olive oil for a deeper conditioning. Let it soak for 20 minutes with your hair wrapped in a towel before shampooing as usual. Skin Moisturizer: Put honey on your skin and leave it there 15 minutes then rinse off. Your skin will be soft and nicely moisturized. Zap Acne: Apply a a small amount of honey directly on acne with a cotton swab or finger. Wait five minutes and then rinse with warm water. 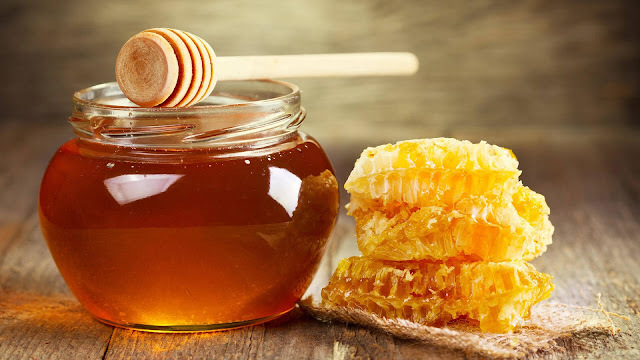 Food Preservative: Honey is known food preservative, replacing chemical additives and refined sugars in many commercial products. When used to replace sugar in homemade bread and baked goods, the result will be a moist product that stays fresh longer and will be less likely to mold. 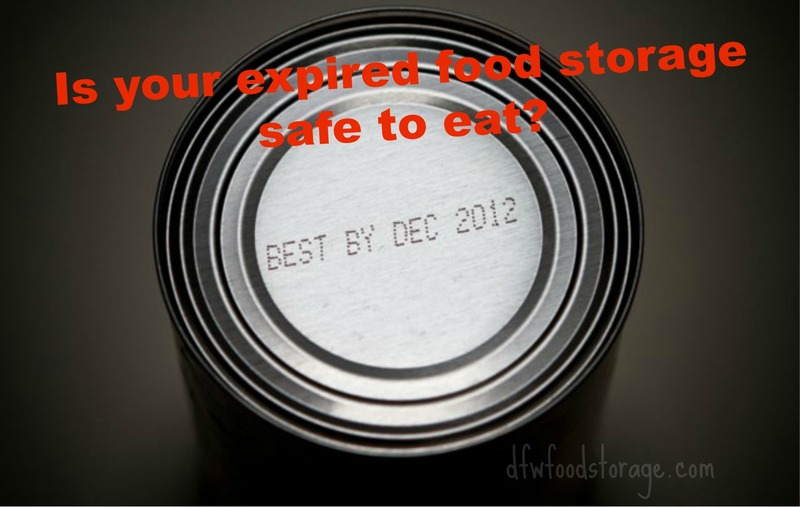 Is Your Expired Food Storage Safe to Eat? A “Sell-By” date, which simply tells the store how long to display the product for sale. A “Best if Used-By” date is what the manufacturer recommends for best flavor or quality. It is not a purchase or safety date. A “Use-By” date is the last date recommended for the use of the product while at peak quality. The manufacturer of the product determines the date. Of course, manufacturers have an incentive for consumers to purchase more food, so the temptation is there for them to recommend short-term dates to encourage more frequent purchases. As it turns out, the answer is that canned foods are safe a lot longer than you think. Numerous studies show that foods are viable long after they were canned, or after the “expiration” of stamped dates. For instance, a fascinating study published in the Journal of Food Science reported on canned food that was analyzed from the Steamboat Bertrand, which sank over 100 years before, in 1865. The findings? National Food Processors Association (NFPA) chemists detected no microbial growth. Furthermore, they determined that the foods were as safe to eat as when they had been canned over 100 years earlier. The chemists added that while significant amounts of vitamins C and A were lost, protein levels remained high, and all calcium values “were comparable to today’s products.”"
Survivopedia gives us 8 signs to look for before eating our canned foods. If your canned food looks cloudy or slimy or it smells “off”, don’t eat it. If the lid of your can is bulging up, it’s a pretty good sign that whatever is in it has gone bad. If you unseal your jar and see black, blue, gray, white or green mold on it, pitch it. Even if the food doesn’t show any signs of mold, the fungus or bacteria is most definitely in there. This food may smell funky, too. For more signs and to learn how to dispose of spoiled food read their blog linked above. So what are some of the longest shelf life foods out there? We found some ideas at Skilled Surviver. When preparing for long-term survival, you’ll want to choose the longest shelf life foods. In general, canned meat shelf life tends to be the longest. Meats such as beef stew, Spam, tuna fish, etc. tend to have quite long shelf lives. They highly recommend the #10 can series. 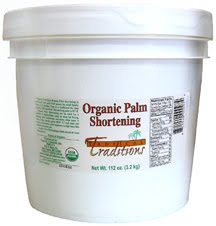 Now a #10 can is a larger can for long term bulk storage purposes. We would also recommend freeze dried food in mylar bags. These both have very long shelf lives. I hope this answers most of your questions when it comes to knowing what is ok to eat and what isn't when it comes to your food storage. If you have any other questions be sure to leave us a comment! 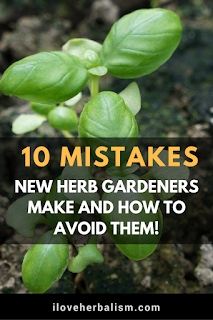 Our final post is from Iloveherbalism.com, they share 10 common mistakes people make when doing an herb garden. I learned some new things, check it out to see what you might learn too. Mistake 1: Growing from seed. When you first start out trying to grow fresh herbs, I recommend you begin by trying to grow from seedlings rather than planting your own seeds. Lots can go wrong in the seed to seedling transition (including not thinning out plants properly), so its probably best to begin by skipping that complicated task or you are in danger of washing out before you really begin. Mistake 3: Watering herbs like houseplants. Instead, water herbs a moderate amount every day. We all want to be able to enjoy time outside, especially as the sun goes down and it isn't too hot. The problem is, we aren't the only ones that enjoy that time of day. That's right, mosquitos also come out and torment us! It is a little know secret that you can actually keep those pests at bay by what you have planted. You can grow these in pots outside or in your garden. Check out this tip and others on our Pinterest page. Herbs are great to cook with and make our food taste AMAZING but if you're going to grow them it is great to know their other uses. Did you know that many herbs have great healing properties too? I found this awesome chart on Pinterest and wanted to share it with our readers. 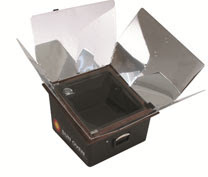 We have the link on our DFW Food Storage Pinterest Board. Check it out! It's that time again to either prep your garden or finally start the garden you have always wanted. You might tell yourself that you want a garden but you don't have room for one. Did you know you can grow a herb garden in very little space! I found this awesome cheat sheet that shows what herbs you can grow indoors or in your windowsill! 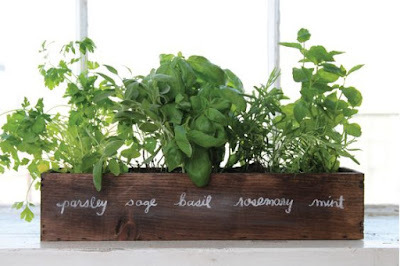 You can find lots of great idea and tips about herb gardens on our Pinterest board.